Bank and credit union marketers need to get more sophisticated with how they track the sources of sales, especially in digital channels. Here are three tips to get started. Bank marketers have long been masters at utilizing consumer data to target their prospects and customers precisely. Recently, nearly every digital marketing platform (even Pinterest!) has developed a way to bring that precise consumer targeting into their platform and allow marketers to reach exactly the consumers they want. This rising digital tide has certainly brought a lot of success to digital marketers in retail banks, but the rising water is creating challenges as well. 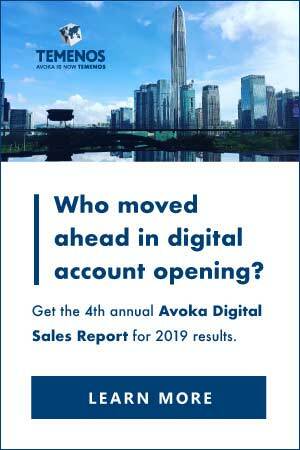 Today, nearly 70% of consumers research their next checking account provider online, and yet Andera reports that only 24% of those consumers would open their checking account online. This creates challenges for marketers that focus solely on their online sales as their measure of success. Mobile adoption — often trumpeted as another driver of digital ascent — also creates a measurement challenge as the consumer path to purchase increasingly is a multi-device experience. Traditional, cookie-based tracking mechanisms aren’t equipped to deal with these types of multi-device, multi-channel consumer journeys that are the norm in retail banking today. These multi-stage, multi-device paths to purchase can’t be accurately measured by simple last touch attribution. Based on these challenges, what should a retail bank digital marketer be considering as they work through their strategic marketing plans? 1) Focus your calls to action and measurement across all of your financial institution’s sales channels. Digital marketers love that their media channels are so measurable, and often focus on online conversions to show their results. It’s likely that your paid search campaign also generates sales on the phone and in branches. Phone call tracking, coupon redemption and online appointment setting are all tools you should use to better measure the contribution of your digital marketing across the bank’s sales channels. Given the different scale that most banks have in their branch networks compared to their online sales channels, even a small increase in sales through the branch network driven by online marketing can represent a significant increase in the overall sales of your digital marketing programs. Based on your specific situation, choose a campaign and one or more offline conversion metrics and run a test. You’ll likely be surprised at what you find. 2) Adapt your marketing tactics and measurement framework to include multi-device journeys. Smart phones, tablets and desktop computers are all part of the technology mix in most banks’ target consumer household. Efforts in this space can focus both on the consumer experience as well as the targeting and analytics perspective. On the consumer experience side, digital marketing leaders will want to consider how consumers are using these different devices in their research process and adapt the experiences to meet those specific needs. Consumers on a smart phone might not be ready to fill out a loan application online, but might be willing to set an appointment for tomorrow to talk with a loan officer. Ensuring digital interactions work as well on phones and tablets as on desktops is critical. Many banks are finding that the majority of their customer email interactions are on mobile devices, so do not overlook this important channel. Cross-device targeting and measurement are both evolving spaces. None of these are perfect, but developing experience with these now will likely deliver results in the short term, and give you better insight to optimize your campaigns based on your specific situation. 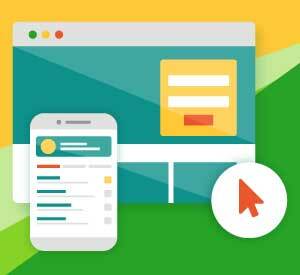 3) Move beyond last touch attribution. Nearly every retail bank today uses a variety of integrated marketing tactics to drive their success. Retargeting, email incubation streams, and CRM targeted display media are all examples of these tactics. At the same time, many of these same marketers are measuring their success based on last touch or a similarly simple attribution rule. Bridging the gap between integrated execution and integrated measurement is critical to being able to optimize these campaigns. Digital marketers will want to partner with their analytic colleagues to develop the ability to understand how each part of the marketing mix is contributing to success at the individual level. Digital media and channels began as something very new and separate for both consumers and digital marketers. Consumer adoption and comfort with these channels has grown immensely, and they are now part of nearly every minute of consumers’ lives, moving seamlessly between digital and real world experiences. Marketers need to adapt their approach and begin connecting their interactions with consumers across channels and devices. Measuring a single string of interactions on a single device will give you an incomplete view of the impact your work is creating. Building and measuring these connections is one of the next steps to success in digital marketing. The rising digital tide has shifted the shape of the waterfront. Digital marketers that address these new challenges head on and begin to understand the next wave of customer centric, multi-channel interactions will position themselves and their banks well in this evolving marketplace. Jeff Lyons is a Senior Director in Merkle’s Digital Agency Group, responsible for advising clients on their digital marketing strategies including programs in eCRM, email, social and website improvements. Prior to joining Merkle, Jeff was Director of Sales Operations at Red Ventures, a customer acquisition company. Previously Jeff held a variety of senior marketing and general management roles with LendingTree. Jeff has a BS in mathematics and economics from Wake Forest University and a MBA from the Darden Graduate School of Business at the University of Virginia. This article was originally published on December 11, 2014 . All content © 2019 by The Financial Brand and may not be reproduced by any means without permission.